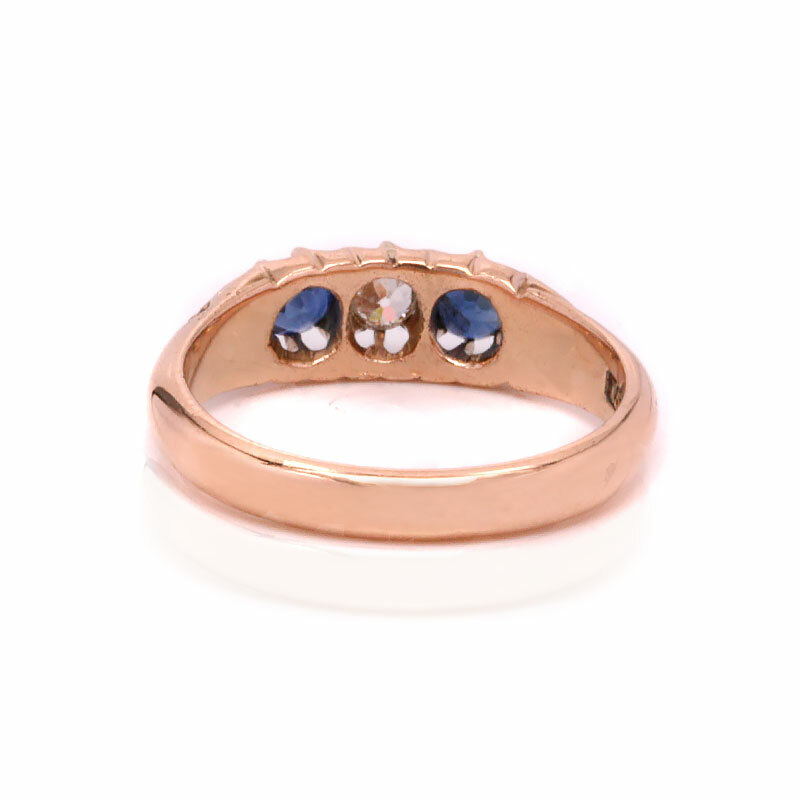 It is so difficult to find rings set with sapphires, diamonds or rubies set in rose gold, so this antique sapphire and diamond ring in 15ct rose gold is perfect for anyone who has been after a ring set with precious gemstones in rose gold. The colour of rose gold has that lovely warm tone to it that looks so special on the finger and then highlighted with the two sapphires and diamond in the centre, all come together to make such an elegant ring. The natural blue sapphires matching so well in colour, they total 0.54 carats and the diamond in the centre measures 0.20 carats and from end to end the distance measures 11.9mm by 5.8mm wide at the centre. With the claw work making up part of the design as does the scroll work on each side, this is such an attractive and elegant antique sapphire and diamond rign that will be perfect for any occasion. Tags: Antiq, Antique sapphire and diamond ring. 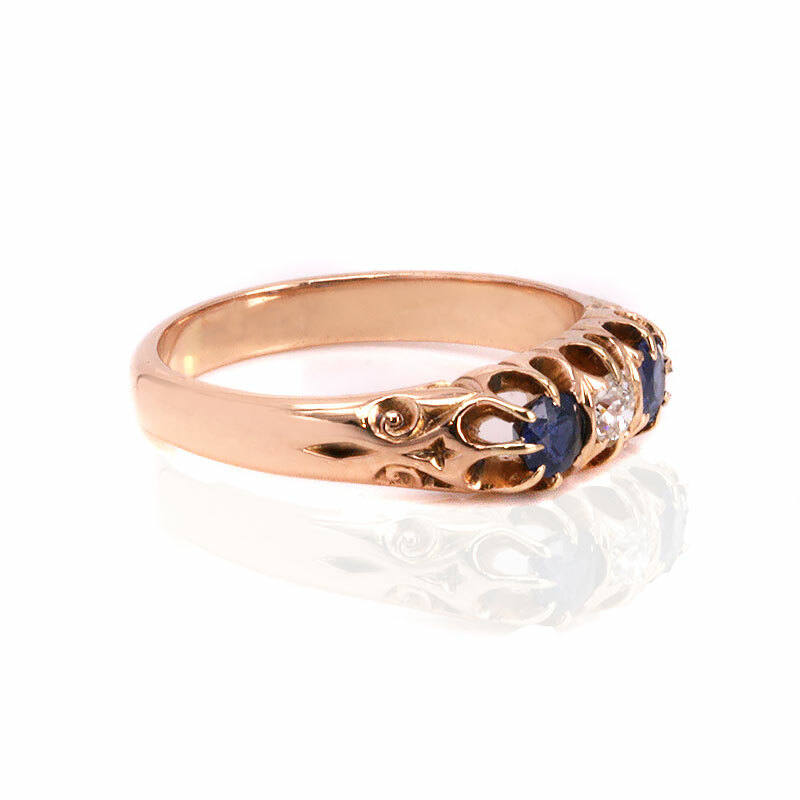 Hand made and set in rose gold, this ring would make a wonderful example of an antique sapphire and diamond engagement ring. 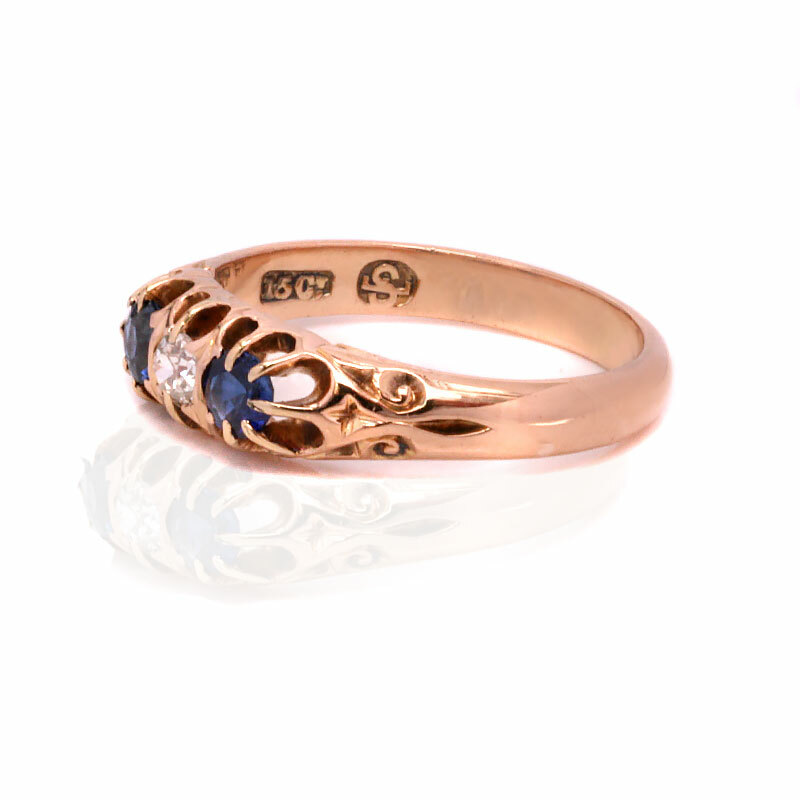 Rose gold has a lovely warm tone to it, rarely seen in sapphire and diamond rings, making this ring very unique.